When it comes to stealth games few have executed the formula as successfully as Thief II: The Metal Age. Technical considerations aside, this second instalment of the Thief series holds up well, even by modern standards. Refined mechanics and large, intelligently-designed levels build upon the already strong foundations laid down by Thief: The Dark Project and serve to make Garrett’s second outing a hallmark of the stealth genre. What follows is the first in a series of fifteen articles – one for each of Thief II’s missions – exploring the game’s level and mission design with respect to how each level puts a new spin on its core stealth gameplay. First up is “Running Interference”, a level that doubles as both tutorial and introduction to Garrett’s and The City. With the Trickster defeated, it’s time for Garrett to get back to what he’s best at: taking care of himself. Not even the defeat of a demi-god, nor the loss of an eye, is enough quell his cynical avarice. Unfortunately, not all of Garrett’s acquaintances are as self-serving, though sometimes favours are more valuable than gold. Breaking Basso the Boxman out of Cragscleft Prison might have earned Garrett the gratitude of his sister, but Basso’s attempts to go “legit” are not working out so successfully. Falling in love with Jenivere, the indentured servant of Lady Rumford, hasn’t helped matters. Now he needs some help to free her from the basement room where she’s been locked, as Lady Rumford can’t have her servants going off and getting married. Who would be left to wash her feet? 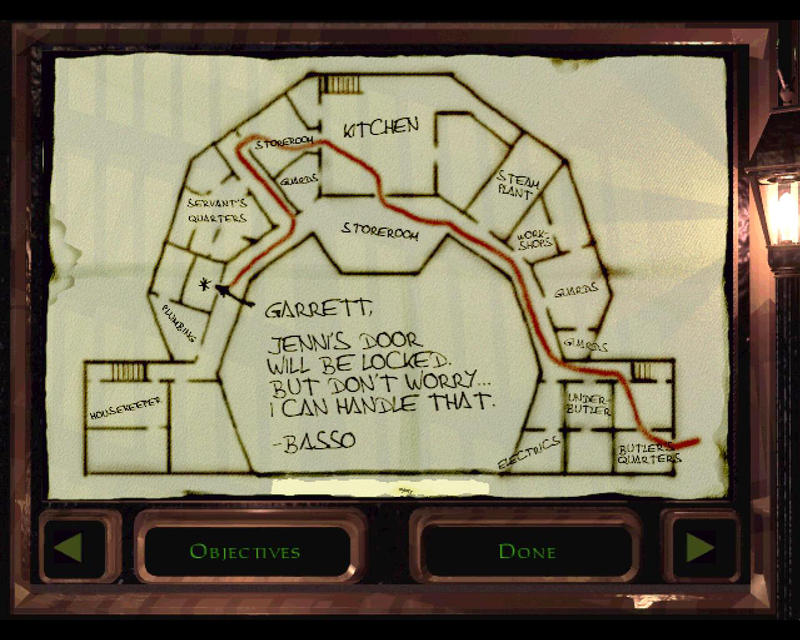 Basso knows the layout of Rumford Manor; he just needs a little help getting in… and out again. The supplied route provides a series of tutorial encounters and all objectives can be completed by sticking to the red line, but taking initiative and straying off the path can bring its own rewards. Garrett’s objectives for Running Interference are relatively straightforward compared to some of the tasks to come. He needs to infiltrate Rumford Manor and clear a path to the bed chamber of Jenivere, then signal her fiancée and ensure they both make it out again unnoticed. Basso and Jenivere will use the path sketched on the map, but that doesn’t mean you have to, though there are benefits to doing so. Unlike Thief: The Dark Project there is no separate tutorial level in The Metal Age, so Running Interference serves in this capacity. When played on Normal difficulty, textual pop-ups explain basic movement and interaction controls, while the placement of NPCs and objects will allow you to experiment with the tools available in a relatively safe environment. Starting in the grounds outside, the entire sprawl of Lady Rumford’s estate is visible: from the large garden in which somebody has been having a picnic, to the crescent-shaped manor itself – the windows of its two wings dark for the night. Though you are free to explore and acquire what you see fit from the entire Manor, if you are playing on Normal there is never a need to do so, as all of your objectives can be completed without leaving the basement. Entry to Rumford Manor is through the Butler’s Quarters. Although he might have remembered to lock the door to the rest of the household, the Butler did forget that he’d left the key in his room. Good for Garrett; since he has Basso to take care of the locks, he’s only carrying the bare minimum of equipment: a compass, his trusty blackjack, his old sword (Why he’s no longer carrying the one stolen from Constantine is never explained) along with a bow and some water arrows. Additional equipment can be procured from within the Rumford Manor – either from the armoury, or stolen directly from one of the guards – but its acquisition and use is optional. Though limited, these tools are adequate for the challenges of Running Interference, and along with some later additions serve as the standard toolset for the rest of the game. The stealth model at the core of Thief is built upon a simulated world and the way such tools interact with and alter it. Underneath the stairs in the west wing, hidden behind a stack of crates, is a shire to what will soon become a familiar symbol. Though the Mechanists are unknown at this point, the sect’s influence will soon spread to encompass the entire City. For the moment, though, the Master Builder is worshipped in secret. Keeping to the path supplied by Basso provides a series of challenges that increase in difficulty as you approach your objective. A lit torch in the basement corridor is easily dispatched with a water arrow, while the blackjack offers an equally efficient solution to the guard standing at the end of the corridor. Baring a wandering civilian in the kitchen who only appears on the higher difficulty settings, the final problem on Basso’s route is a patrolling guard outside the Servant’s Quarters. Straightforward on their own, these problems form the basis for the majority of encounters you face over the course of the game. Whether in combination, or with level specific alterations or additions, these three situations appear throughout The Metal Age and the understanding of how to deal with them gained in Running Interference will serve you well. Clearing a path to Jenivere’s room is only half the job; you still need to ensure that she and Basso escape and, of course, that you do too. In Thief, completing your objectives is rarely enough on its own; finding a way out is just as important as finding a way in. This means that choices you make near the start of a level can come back to haunt you minutes or even hours later. As the tutorial level, that isn’t the case in Running Interference. The objectives are fairly straightforward and the route back is as simple as retracing your steps. This will not always be the case; frequently, exploration is required not only to complete additional objectives but also to uncover alternate routes that will allow you to escape once your work is complete. In order to signal Basso, you will need to return to the starting point of the level and use the bird call he supplied. Upon hearing the noise, he will make his own way to Jenivere’s room, unlock it and they will escape together. Provided you have cleared the way for them, the majority of your work has been done, which makes this a perfect time to explore the Manor. Spending an evening breaking into the home of a wealthy noble, for Garrett some things never change. Focusing as it does on the more organic and historical parts of the City, The Dark Project has a rich palette of vibrant reds and purples alongside the grey stone and brown brickwork of castles and streets. The Metal Age contrasts this as it deals with the influence of technology on the City and utilises a narrower colour scheme. Gold and bottle green, with highlights of bronze and burnt red, are predominate throughout the more industrial, and affluent areas. These are the colours of wealth and industry; the colours of Lady Rumford, of Sheriff Truart, and of Karras and his Mechanists. Alongside its role as a tutorial, Running Interference also serves as an introduction to the world of The Metal Age, and a few things have changed in the City since Garrett’s defeat of the Woodsie Lord. Compared to Lord Bafford’s Manor, the first non-tutorial level of The Dark Project, Rumford Manor is a markedly more modern construction. From the materials, to the architecture, to the mere existence of a room dedicated to “electrics”, it is clear that in the intervening months the City has undergone a technological revolution. Along with a change of aesthetics, the increasing role of technology will manifest itself throughout the upcoming levels as new types of enemies and security devices. Lady Rumford has little need of such advanced technology to secure her property, living as she does on the outskirts of the City in a structure that fits more closely the definition of a manor than the home of Lord Bafford – which is a castle in all but name. If there is one universal aspect of the aesthetics of Thief, it’s that nothing is ever completely quiet. Mounting the stairs to the ground floor, the industrial droning of the basement gives way to a whistling whine that is neither completely artificial nor entirely natural. Climbing again into the first floor wings, the atmosphere changes again; the whine becomes more melodic and more organic, but no less unsettling. Symmetrical in plan, the rooms of Rumford Manor form a crescent. A hallway runs along the interior from the great hall in the centre to the wings; stairs from the Butler’s and Servant’s Quarters provide access to the first floor of each of the wings, while in the middle of the manor stone stairs ascend from the back wall of the kitchen into the great hall. Multiple methods of reaching the ground floor means multiple avenues of escape to the basement. This ease of navigation, combined with the deep shadows prevalent in the hallway, makes approaching and dealing with the patrolling guards on the ground floor only a minor challenge. The wings themselves are slightly more challenging, as their layout makes it easy to lose sight of the guards when their patrols take them up the stairs. Additionally, gaining entry to the west wing can present a further problem, as the key will require some pick pocketing. 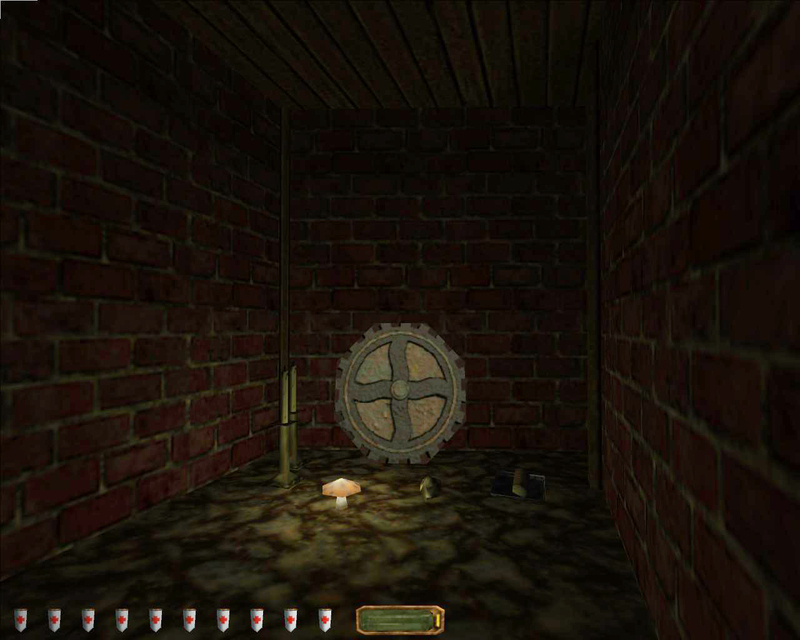 Several guards throughout the level carry a golden key than can be used to unlock the door. However, most of them are already on the other side of those locked doors. The only guard outside of those areas is on patrol in the well-lit dinning room. A direct approach would be problematic, so a smarter option comes from using the dumbwaiter in the basement. Hiding inside will not only allow you to pick this guard’s pocket, but also help yourself to a number of golden chalices and plates from a nearby table. The only real challenge in Rumford Manor comes if you decided to investigate the remains of the picnic in the garden. 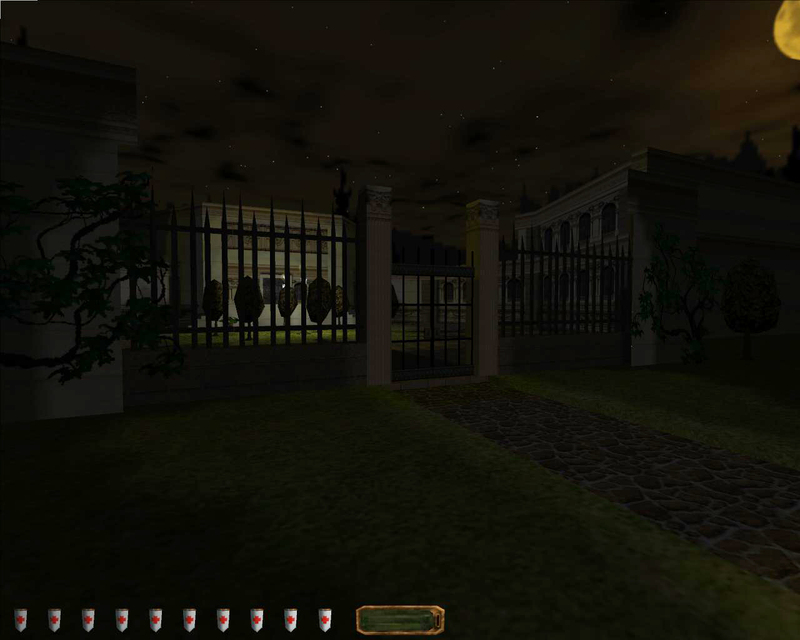 The great hall doors are locked with the same key as the west wing; beyond, two guards stand watch on either side of the door, while a third armed with a bow walks a circular patrol route around the garden. Hard stone surfaces, and a dearth of shadows, mean speed and direct actions are the only means of dealing with these watchmen. Not as pretentious as Lord Bafford’s throne room, Lady Rumford is clearly not averse to ostentatious displays of wealth. The central plot of The Metal Age has yet to be revealed, and – as with The Dark Project – it will be a few levels before it is, but there are still threads to be found. A scroll left on the bed of one of Lady Rumford’s servants hints at the climate of persecution and fear under the reign of Sheriff Gorman Truart, while hidden under the stairs in the west wing is evidence of a burgeoning religious movement. The significance of these two element is unclear, but they serve as subtle foreshadowing of events to come. 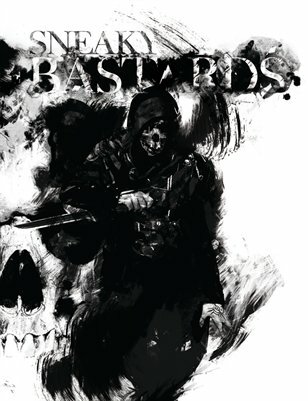 Garrett finds his way into the Baron's stronghold in the most confusing and illogical Thief chapter yet. How Thief: The Dark Project's "Assassins" mission flips the safety of the city on its head by turning the hunter into the hunted. Despite the name, Minor Key Games' cyberpunk espionage thriller is bathed in the ambiguous greys of Thief and Deus Ex. 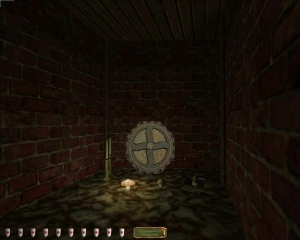 The fifth of our fifteen-part series of articles examining Thief II’s level and mission design returns to a classic layout with a twist - the Eastport Mechanist Seminary. Our deep dive analysis of the Thief reboot concludes with a holistic look at its stealth systems in the context of the game's level design. The hub world of the City in the Thief reboot features some well-designed sidequests within confusing architecture. 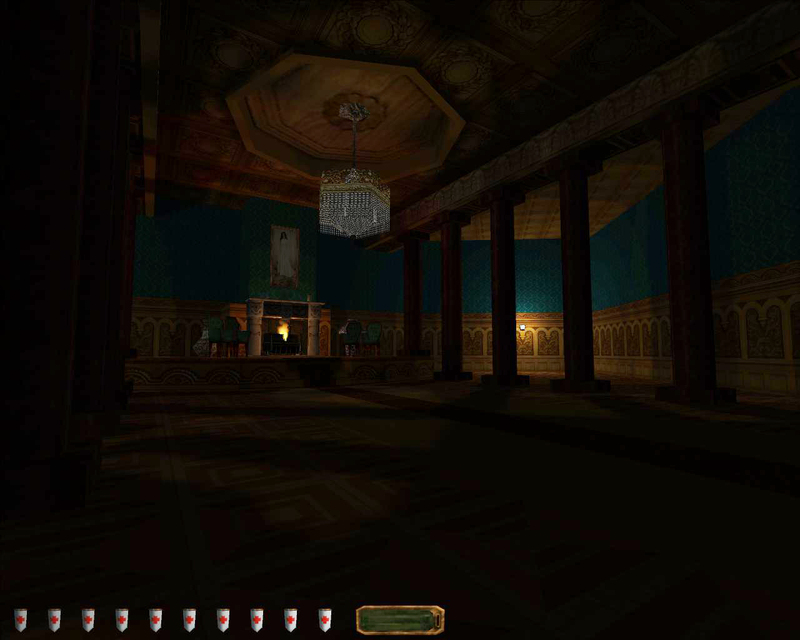 Thief's anti-climactic finale features easily-bypassed encounters within confusing and characterless spatial design. What an amazing way to kick things off. Cheers mate! I am giddily excited at the prospect of this series of articles. Great work, keep it up! I only first played Thief 2 a couple months back (having played the first about half a year before then) and it really struck me how great the level design for the whole game was. The stealth series I’ve played the most is Splinter Cell and it was interesting getting to see the games that (at a guess) SC took a chunk of its main mechanics from, especially when Thief uses them in a much much less linear setting. It’ll be interesting seeing your take on all the levels of Thief 2 throughout this series, there are some really remarkable examples of stealth level design in there. I’m looking forward to the next one myself. Thief 2 was miles ahead of the original game in terms of level design, not that the latter was bad by any means. Excellent to find this great page about stealth games. Thief 2 has been my favorite game for many many years. Love it. I hope they do a good job with Thief 4. I’d like to make a top down stealth game for iPad at some point. Sort of an adventure game – meets – stealth game, actually. I’ve got a little prototype going. Hope to get back to it some time! PS: The sound design is obviously fundamental to the game, and excellently executed, not just on a technical level, but on an artistic level under the hand of Eric Brossius. Copyright © 2015 Sneaky Bastards. Don't steal in real life - it's kind of hard.